Word’s out: there’s a new Rails vulnerability (actually 4), with the riskiest being a Cross Site Scripting (XSS) disclosure. 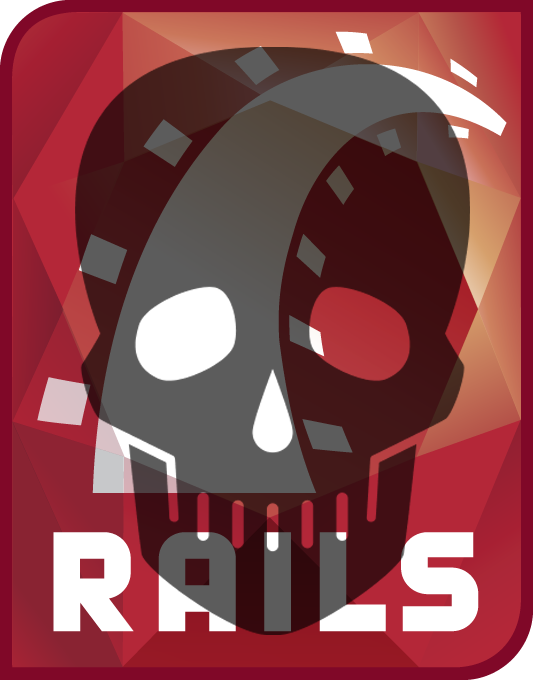 We’ve decided to throw together a compilation of each of the vulnerabilities, taken from the RoR security reports and the Rails Security mailing list (thanks!). Summary: To fix all issues, upgrade to versions 3.2.13 or 3.1.12. Check out each section below for references for fixing this vulnerability and for other workarounds. If you run into any issues and need further help, feel free to jump into our chat room at http://www.tinfoilsecurity.com/chat - we’re happy to help! Summary: A DoS vulnerability allows your site to be unusable by regular users. To fix the issues and prevent a DoS attack, upgrade to versions 3.2.13, 3.1.12, 2.3.18. There is a symbol DoS vulnerability in Active Record. This vulnerability has been assigned the CVE identifier CVE-2013-1854. Carefully crafted requests can coerce `params[:name]` to return a hash, and the keys to that hash may be converted to symbols. All users running an affected release should either upgrade or use one of the work arounds immediately. The 3.2.13 and 3.1.12 releases are available at the normal locations. To aid users who aren't able to upgrade immediately we have provided patches for the two supported release series. They are in git-am format and consist of a single changeset. Please note that only the 3.1.x and 3.2.x series are supported at present. Users of earlier unsupported releases are advised to upgrade as soon as possible as we cannot guarantee the continued availability of security fixes for unsupported releases. Thanks to Ben Murphy for reporting this! There is an XSS vulnerability in the sanitize helper in Ruby on Rails. This vulnerability has been assigned the CVE identifier CVE-2013-1857. If you are unable to upgrade, you can place the following code into a file in config/initializers and it will replace the method with the correct implementation. Thanks to Alan Jenkins <alan.christopher.jenkins@gmail.com> for reporting the vulnerability to us. Summary: This XML Parsing vulnerability affects JRuby users using the default settings. It can allow an attacker to construct XML, that, when parsed, will contain the contents of arbitrary URLs, including files from your server. It can also lead to a DoS attack. If you’re using JRuby, it’s recommended you upgrade to versions 3.2.13, 3.1.12. There is a vulnerability in the JDOM backend to ActiveSupport's XML parser. This could allow an attacker to perform a denial of service attack or gain access to files stored on the application server. This vulnerability has been assigned the CVE identifier CVE-2013-1856. Not affected: Applications not using JRuby or JRuby applications not using the JDOM backend. The ActiveSupport XML parsing functionality supports multiple pluggable backends. One backend supported for JRuby users is ActiveSupport::XmlMini_JDOM which makes use of the javax.xml.parsers.DocumentBuilder class. In some JVM configurations the default settings of that class can allow an attacker to construct XML which, when parsed, will contain the contents of arbitrary URLs including files from the application server. They may also allow for various denial of service attacks. If you are using JRuby and have an affected JVM, you should upgrade or use one of the work arounds immediately. Thanks to Ben Murphy for reporting this vulnerability to us and working with us to inform other affected libraries and programming languages. Summary: An XSS vulnerability allows hackers to be able to compromise your site's users. This specific vulnerability is more obscure and can allow users to bypass the Rails CSS sanitization method. To fix this issue and prevent this XSS vulnerability, upgrade to versions 3.2.13, 3.1.12, 2.3.18. There is an XSS vulnerability in the `sanitize_css` method in Action Pack. This vulnerability has been assigned the CVE identifier CVE-2013-1855. Thanks to Charlie Somerville for reporting this!